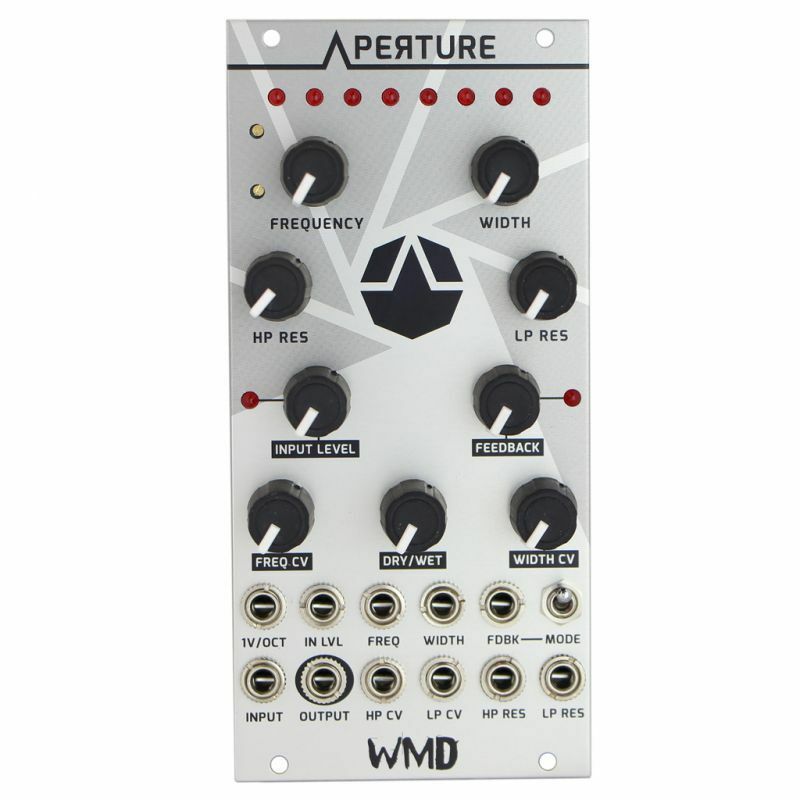 The Aperture is a variable-width bandpass filter with fast and tactile controls. It is capable of simple filtering, self oscillation FM timbres, nasty acidic squelches, and capturing images of UFOs descending from the heavens on a cold winter’s night. The concept is a bandpass that ranges from transparent to gnarly, with precision controls that behave under stress, all while being joyful to wreak havoc with. more self oscillation and squelchy behavior. at 1V/oct. This is the input for that. 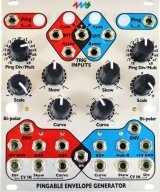 Freq: CV input for control over the cuttoff frequency.